Many times, we need to work on small set of masked data in the projects because of data privacy policies of client, Technical data restrictions, International trade regulations etc. In such projects, Team will develop the application with small set of masked data provided by client. When the developed product on this small set of data goes to QA or production, we normally face Performance issues as code was return on the based on small set of data. 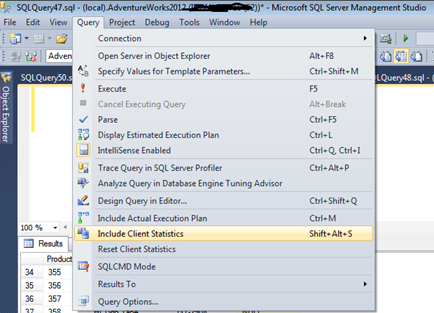 Then there is a need to optimize all the stored procedure, functions & other DB objects which is turn into re-work. To avoid this issue at certain extent, we can measure the performance of query in milliseconds to understand the nature of data & its processing and can tune the query which will be helpful when we move the queries on large database. 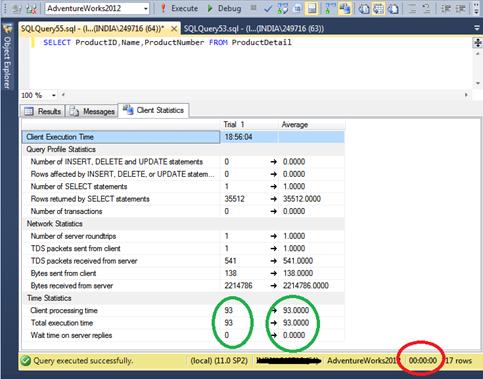 Microsoft SQL Server Management studio provides a feature to measure the query performance in milliseconds. Following are the steps to measure the query performance in milliseconds. 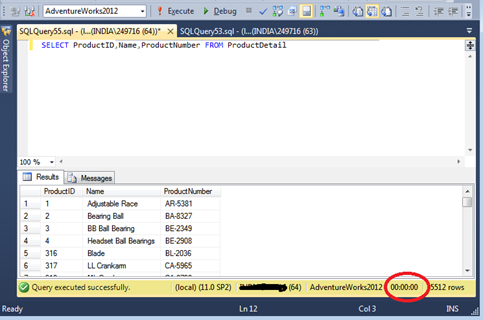 7) You can see the query output in the result tab and output in seconds. For smaller data, execution time will come 00:00:00 by which we will not be able to understand the exact query performance & there is a need to go to much dipper level. 9) Client statistics provides the reporting for multiple trials, you can see the data for Upto 10 trails. A maximum of 10 trials are averaged in the display window. When the11th trial comes into the result, the very first trial is dropped, keeping total average of latest 10 trials.